How was everyone's Thanksgiving weekend! It was so lovely to unplug for the past few days & truly take a moment to take stock of everything I am so very thankful for & to surround myself with those I love. With only 24 days until Christmas I am 1 part merry + 1 part frazzled! While I currently am frustrated with 99% of my wardrobe (one of those weeks! ), these are all pieces that I can't ever imagine being subjected to my epic closet purges. And look at how nice they all play together! Also, shop the Boutique Onze Cyber Monday sale & get 40% off everything (including this classic striped dress!) - code "WOW40"
AND I have updated my mega-huge list of Black Friday sales to include the amazing sales that are going on today for Cyber Monday. Get your deal scoring on here. I love the stripes and chambray paired together! You look gorgeous Jessica. That is such a cute dress Jess! (Didn't meant to rhyme there!) I love it with the leopard! 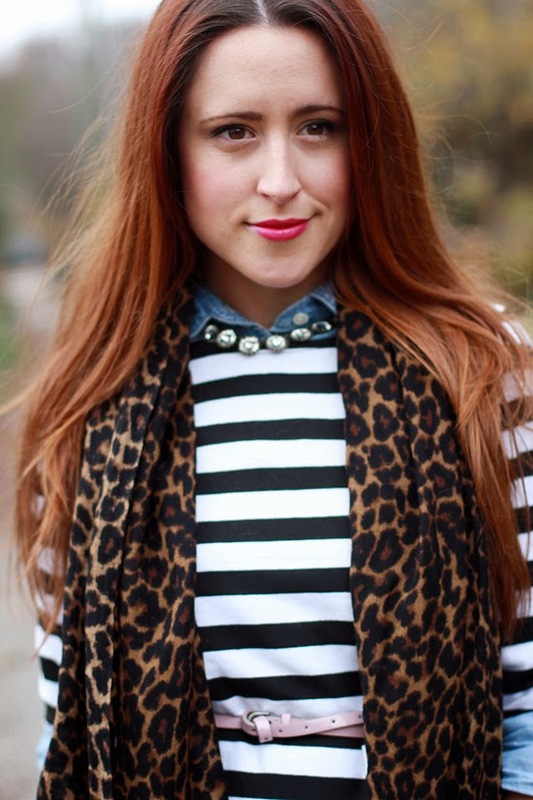 i love stripes and leopard together :) you look great! I love the striped dress, Jessica! You styled it perfectly. NEVER purge these pieces! They're all wonderful, especially together! Happy Cyber Monday! You look adorable. Great outfit!! I love the striped dress! P.S. -- I'm having a two year blogiversary giveaway on my blog! Super cute look. Love the lip color. This is so cute! Simple but chic! 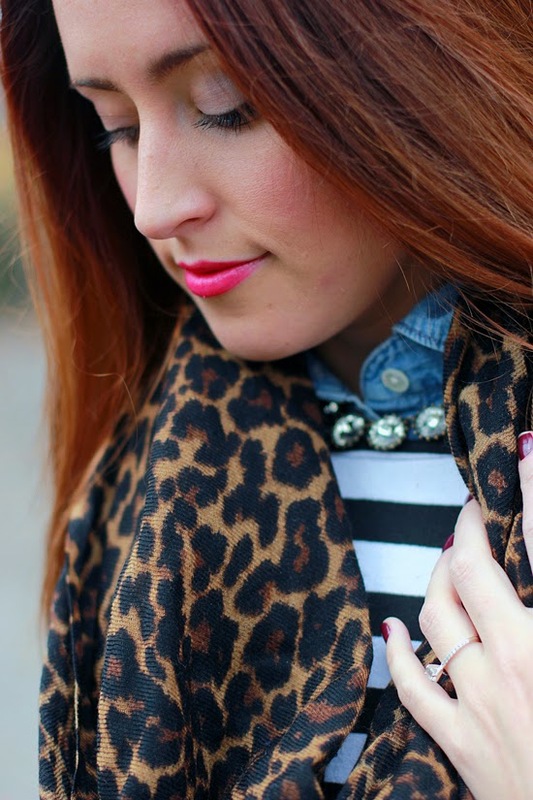 Love bold stripes like this! And you remind me that I still lack chambray in my wardrobe. That scarf and dress are just amazing! Hope you had a great Thanksgiving! I like the way this looks! I have a few striped dresses like this and will need to try wearing a chambray shirt underneath them!